Google Adsense is no doubt the best CPC advertisement platform for Advertisers as well as Publishers. If you are using Adsense for monetization on your website or blog and having nice amount of visitors then you should try enabling Placement Targeting of important spots on your blog. Actually spots or location of placed ads on your website are defined as “Channels” on adsense thru which you can track the CTR for particular ad slot. As you know, Adsense is a bidding based advertisement network where Advertisers bid for keywords on AdWords and then their ads become visible on sites. So here I will let you know the important of enabling “Placement Targeting” which will help Advertisers while making their decision about your site. Placement Targeting is actually a way to tell Advertisers about a particular ad slot on your site. 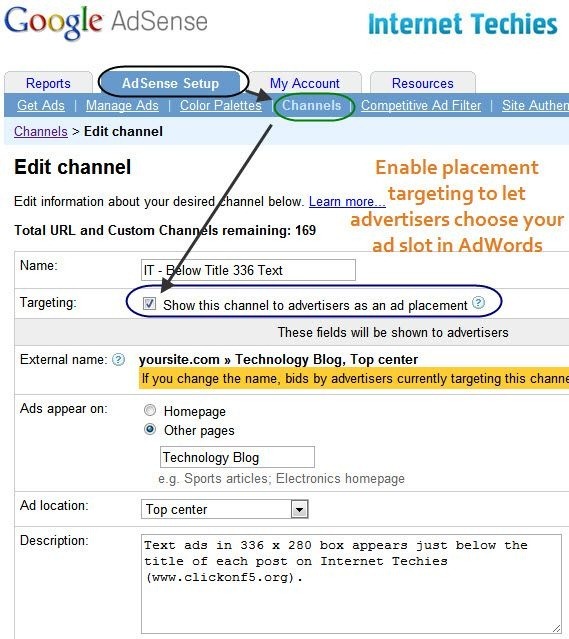 It allows AdWords advertisers to choose a specific spot on your site to place their ad. If your site is having good PageRank and Quality Traffic, Advertisers will even pay more for their ads to appear on your site or blog. In that way, you will generate more revenue from the same spot or ad slot. If they don’t do anything like that, your revenue will remain as it is. So by enabling “Placement Targeting”, you are actually adding a way for advertisers by providing them more information about the spot and your site. Placement Targeting is done for channels on Adsense. For example, if you are having a channel named “Below Title – 336×280”for ads running below the title of each post. Now you want to enable this slot’s targeting so that Advertisers on AdWords can choose that location to place their ads. To enable Placement Targeting on that channel, go to “Adsense Setup” tab on top navigation of Adsense Dashboard and select “Channels” from the sub-navigation bar. There you can see all channels created by you. Find that particular channel for which you want to enable placement targeting, and click on “edit” link on right side of that channel. Now edit window for that channel will open, there you can see a check box for “Targeting – Show this channel to advertisers as an ad placement”. Check the box to enable the same. Now from the same screen, you can provide more information about the channel. That information will be visible to advertisers in AdWords. So did you check your earning before and after enabling “Placement Targeting” on particular channel? 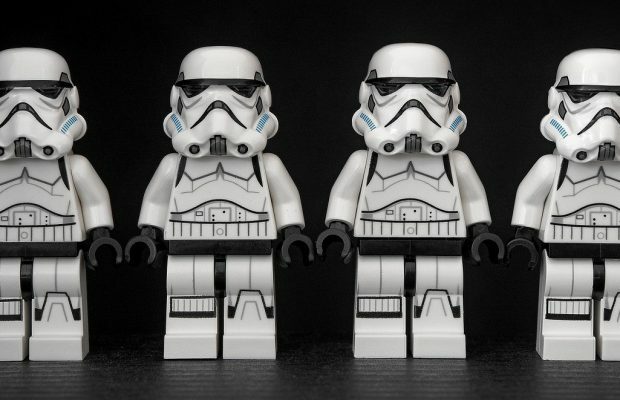 Did you find any visible change in your revenue? 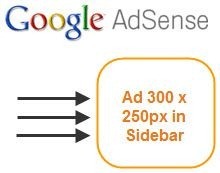 Share your thoughts about this option in Google Adsense.